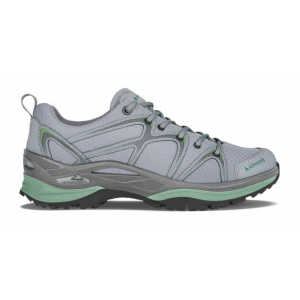 These waterproof Vasque speed hiking shoes marry the stability you'd expect from boots with a lightweight design to keep you moving fast on the trail. 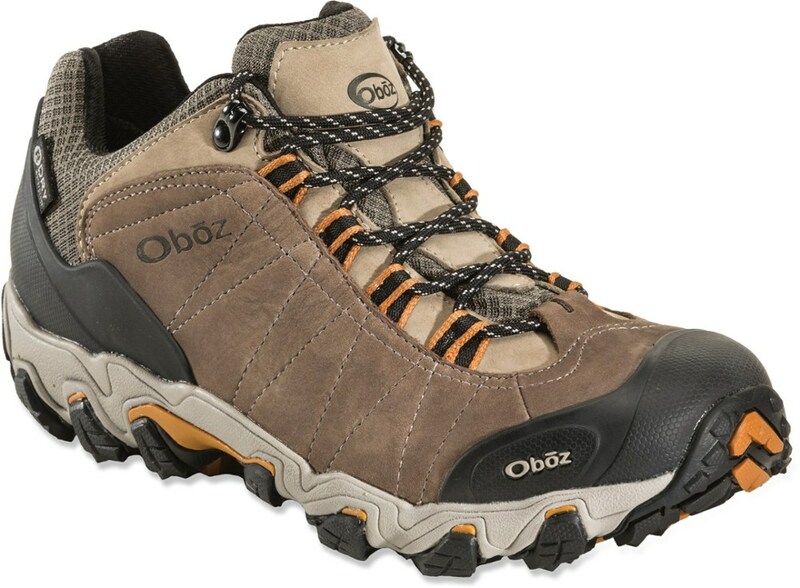 Waterproof Gore-Tex liner with Extended Comfort Membranes keep water and moisture out. 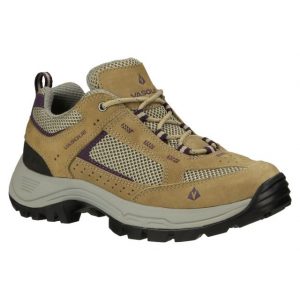 High-abrasion leather uppers with mesh panels are supportive, breathable and strong. Heel and toe ventilation ports increase airflow along the footbed. Dual-density midsoles with EVA cushioning pods provide all-day comfort and support. TPU plate adds stability and support on rugged terrain. Vibram Contact Grip system outsoles enhances traction in all weather and trail conditions. Imported. 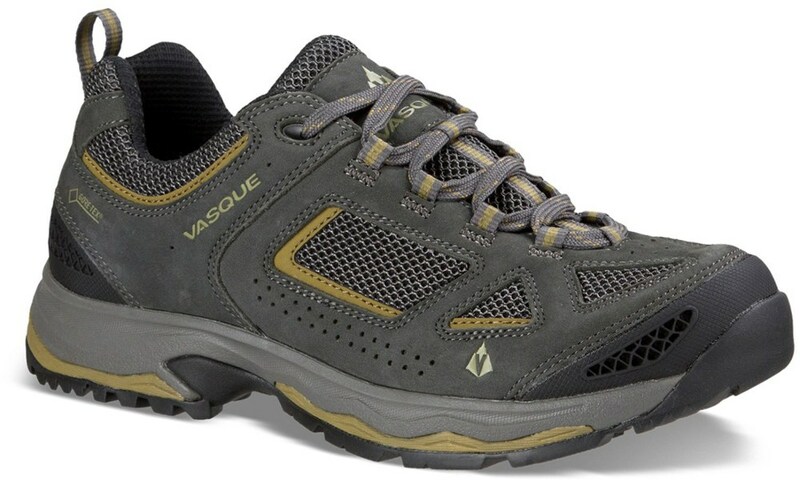 Vasque Footwear Breeze III Low GTX Hiking Shoe - Men's-Magnet/Lizard-Medium-7 07196M070. 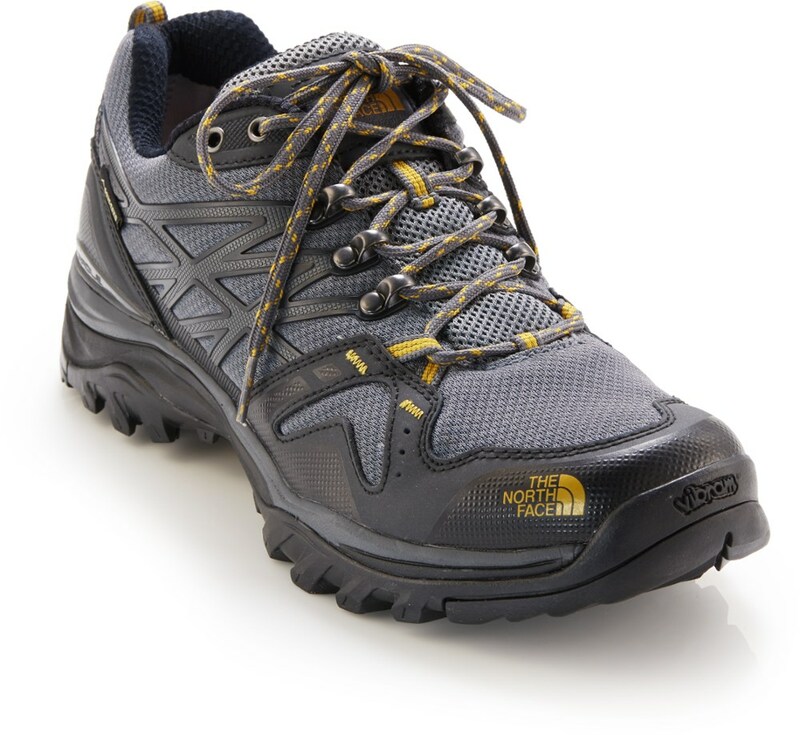 This shoe packs in all of the same technology but caters to those who prefer more mobility. 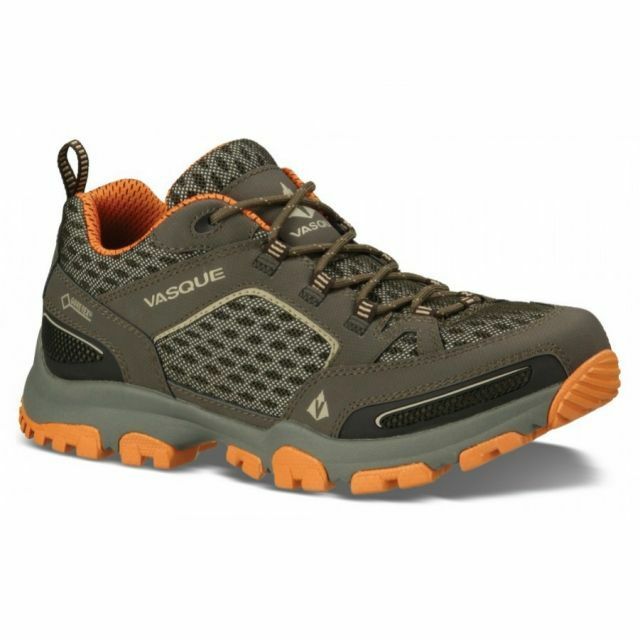 Vasque Breeze III Low GTX men's hiking shoes are light and nimble, offering all the technology of a waterproof hiking boot with the mobility of a shoe.